Dyes for Wool, Cotton and Textiles. 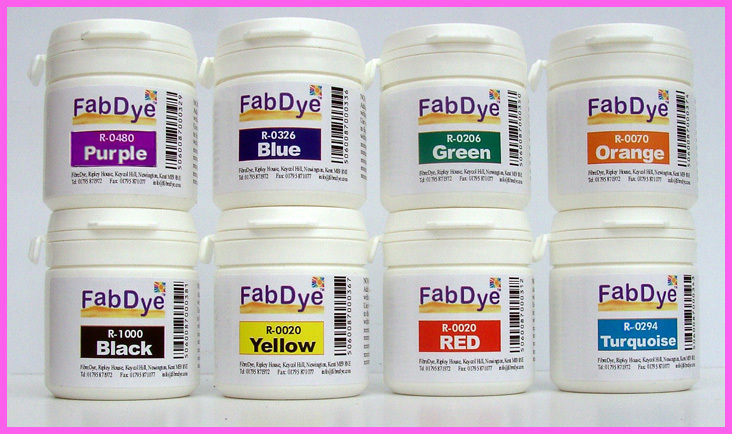 FabDye 'Acid Dyes' for Wool are available in 30gram (1oz) resealable pots. They are called 'Acid Dyes' because all you need to add is add Citric Acid or Household Vinegar to fix the colours. They are safe and easy to use. Each 30 gram pot will colour up to 2.00 kilos (4½ pounds) of wool. They have been manufactured to reproduce specific colours spaced evenly throughout the spectrum, enabling you to create the widest possible colour pallette. The Black is also very important, as this can be blended with the colours to produce many different browns and earth tones. We also supply a special Wool Dye Kit which is an ideal 'starter pack' for those wishing to experiment in this fun and colourful craft. The Kit has been designed for ease-of-use and is both attractive and practically packaged, making it the ideal gift for anyone. Our colours are some of the most vibrant and vivid available in the world. 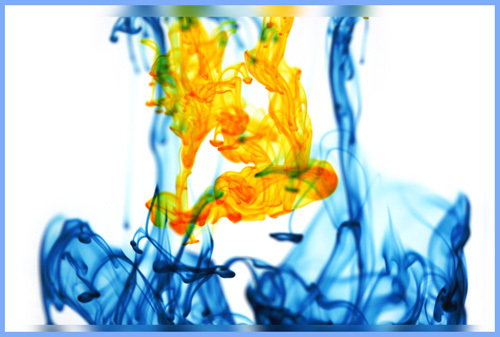 We have been supplying (and applying) dyes and pigments for over 30 years! These are a different type of dye and are available in the same vibrant colours as our wool dyes. 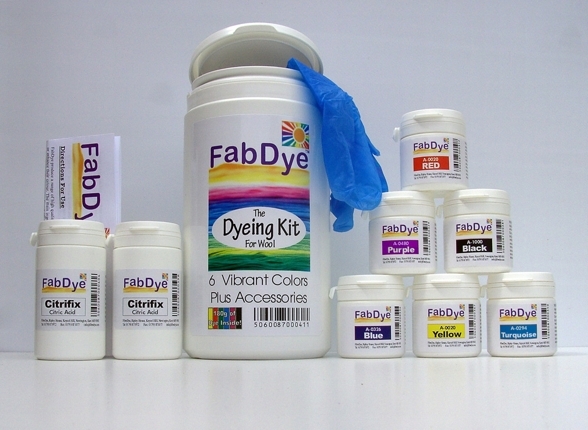 FabDye ~ 'Direct Dyes' are the most colour-fast Direct Dyes in the marketplace. 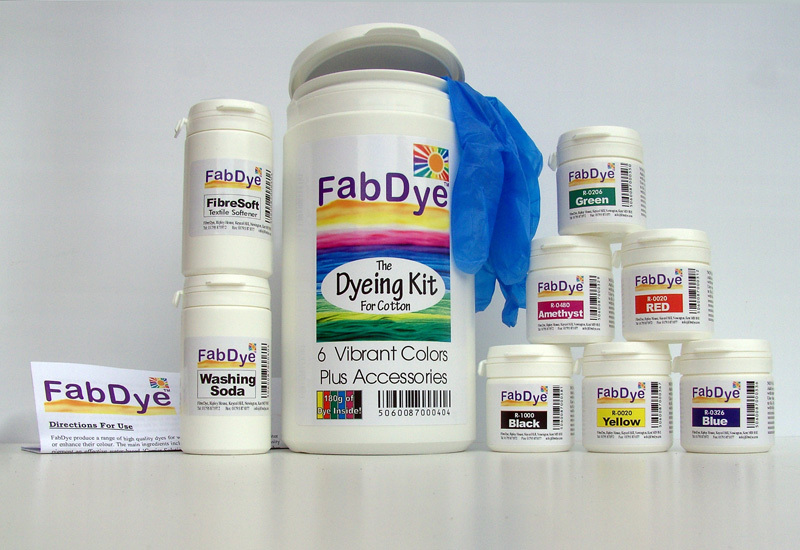 FabDye ~ "The Dyeing Art of Excellence"